11/5 @ 6:52pm EST - Server hotfix just hit, there we go! 11/5 @ 6:45pm EST - A hotfix for the client was released a little while ago, however, the issue has reappeared. Might be the server fix hasn't hit steam yet. Stay posted - and in game, if you are, because you can't reconnect after you're disconnected that first time! 11/5 @ 6:06pm EST - Fix incoming! 11/5 @ 5:55pm EST - They are looking into the auth timeout issues. The specific cause still appears unclear. 11/5 @ 3:58pm EST - The update and devblog are live! 11/4 @ 9:28pm EST - Although this was a shorter update cycle, the team has accomplished a bunch of great changes and improvements to the game this week. With new ways to build, protect, and store - gaps have been filled while providing some exciting new changes to gameplay. Our update stream will go live at 3pm EST, follow Rustafied on twitch to know when and stay tuned to @Rustafied for updates throughout the day. That’s right, it’s the first Thursday of the month, so you know what that means: Forced map wipe. Don’t worry, your precious BP’s will stay unless otherwise forced by a server owner (Rustafied server BP’s will not wipe). No, I’m not talking seasoning for your wolf meat, I’m talking a fundamental shift in how minable resources are generated. 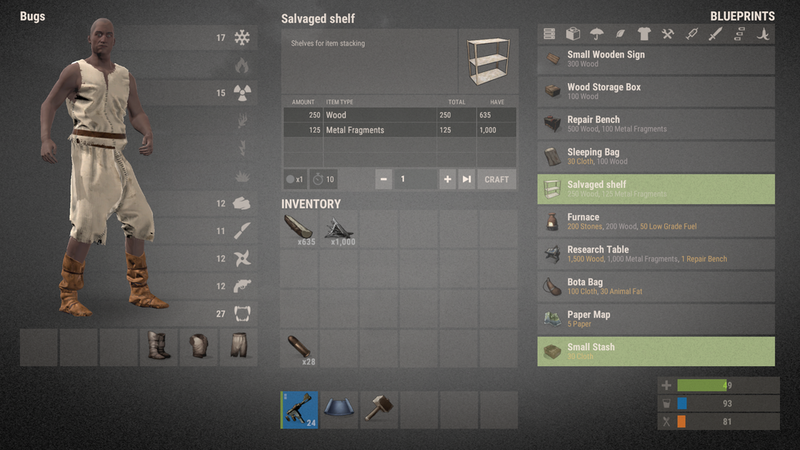 For some time now, all the resource spawns for oil, hqm, and the like have been positioned based on server map seed. Looking to gain a leg up on the competition, certain groups have gotten in the habit of surveying resources on test servers so they can maximize quarry placement. This is no longer possible. Thanks to server.salt, the resource nodes are now independent of the map seed, and set by their own (private) number. Server owners, I recommend you add +server.salt with a random number on your server start - looks like it’s default set to 0. You may notice, after crafting that building plan post wipe, there are several less icons than before. 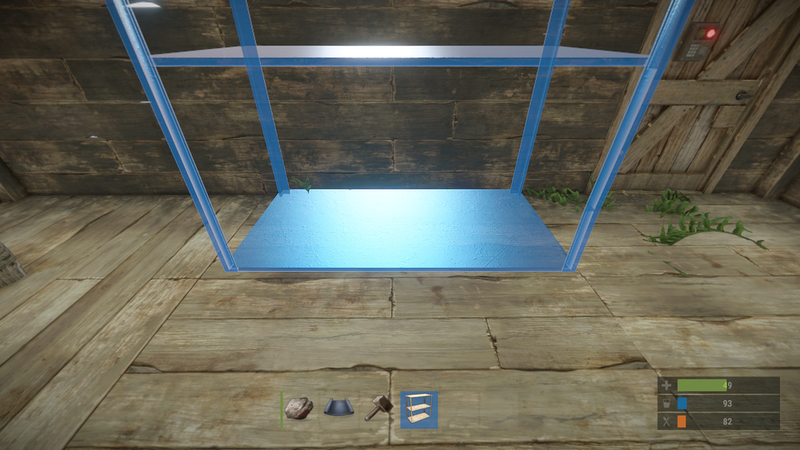 In addition to window bars being craftable, several new options for privacy and cover have been added. Be it blocking bullets or just wandering eyes, wood shutters can be placed on a window frame, blocking view almost completely when closed. 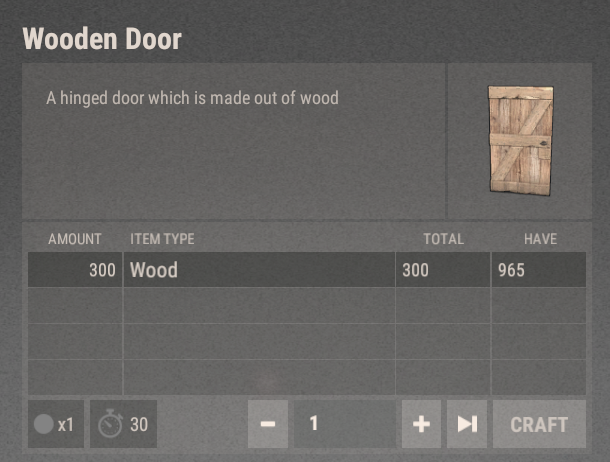 Open and close on a whim, this non-default, 200 wood appendage will really come in handy. Keep in mind, people on the outside can open them, but thankfully they allow for window bars to be placed still. Anyone who was sour about the half blocks being removed last week (guilty as charged) will be happy to see the team heard the upset and prioritized some replacements for our (mis)use of the half blocks. First up, some new bunker style windows. Providing two shapes of protection, the horizontal and vertical embrasures are non-default blueprints and cost 200 metal fragments. With 500hp, they hold up well to incoming fire while offering a new level of defense when it comes to firefights at your base. Between ‘adding in a horse riding and vehicles’ and ‘remove horseriding and vehicles’ shortly after mixed with ‘removing ak 47,’ Garry’s commits to @RustUpdates caused some double takes this week. Surprisingly enough, it seems many people would be happy to see the assault rifle go. 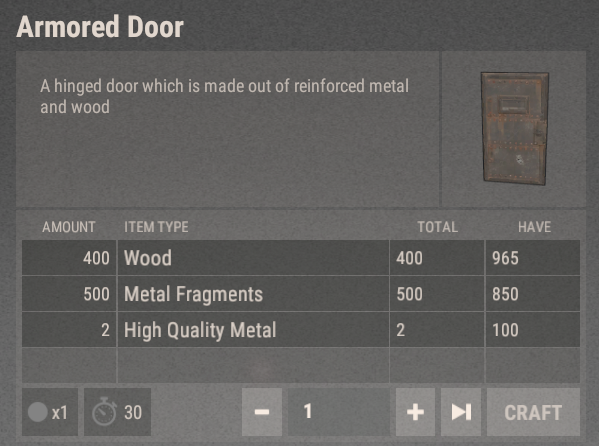 Regardless, the AK is still in the game and Helk has thankfully nerfed the recoil a bit, setting it back to normal levels.